Carol Braden, LLC. Ride 'Em Cowboy! 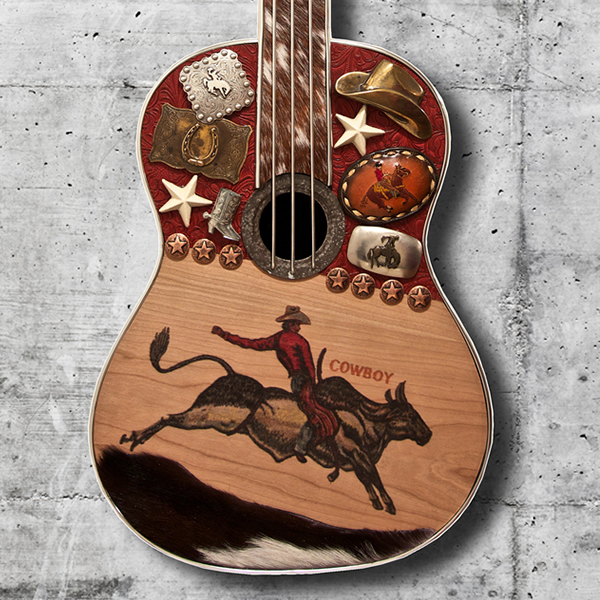 This mixed media guitar includes one-of-a-kind vintage belt buckles, leather, cowhide, conchos, and a rodeo image printed on wood. Dimensions: 17" x 38" x 4". Weight 6 lbs. Ready to hang.